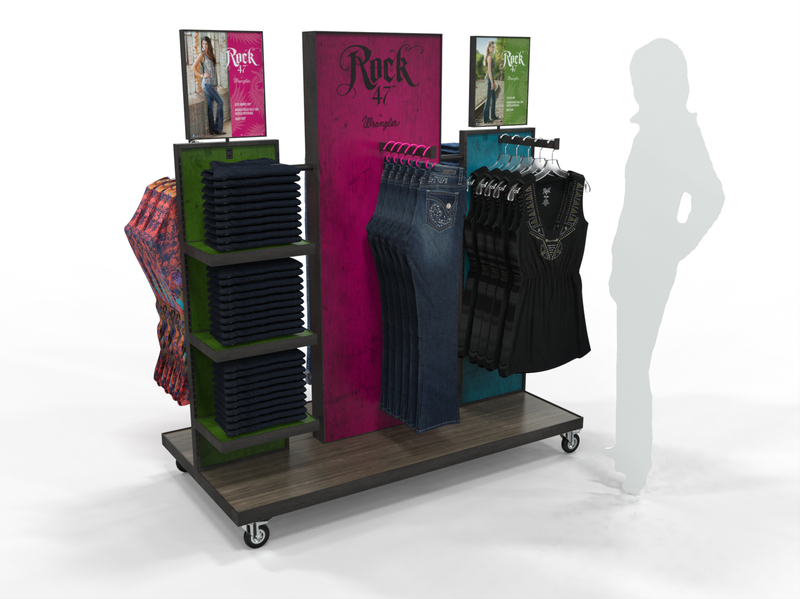 AMD designed a cost effective versatile floor display that could be used to show the Men’s or Women’s line of Rock 47 clothing. 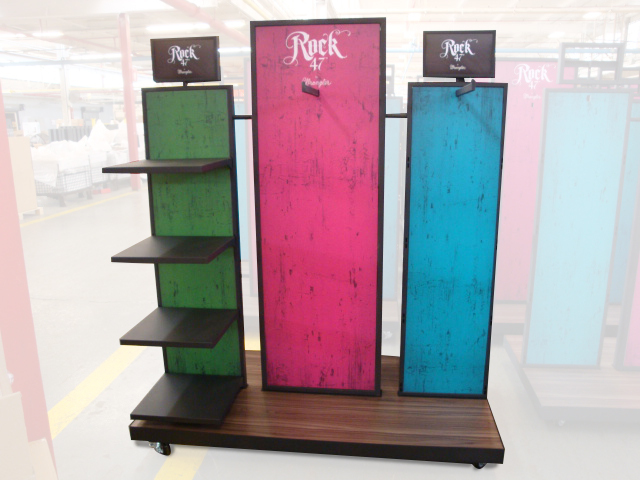 The base unit was the same for both with graphics and a mixture of shelves and hang bars used to differentiate the two lines. All of the graphic panels can be easily updated to give the display a fresh look when needed. 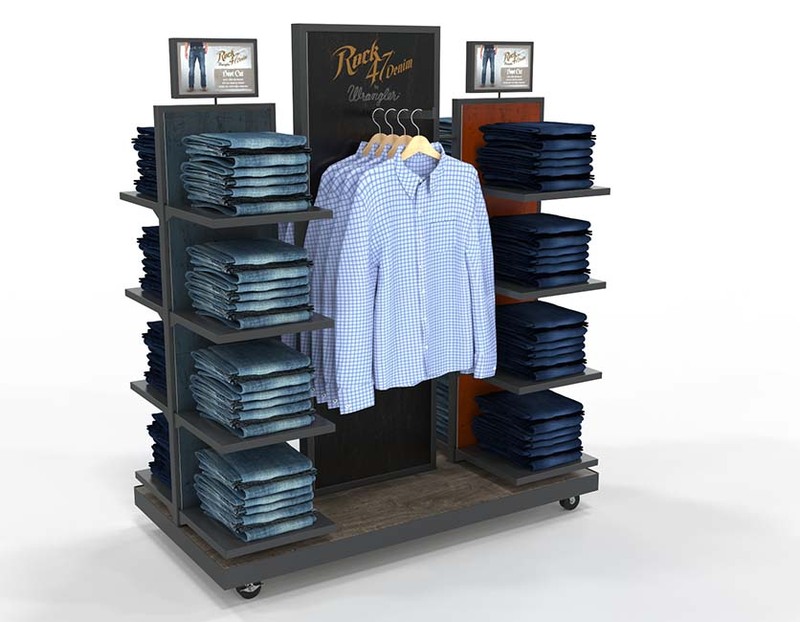 Wrangler reported that retailers loved the display because it helped showcase the brand and allowed them to merchandise a large quantity of merchandise in a small footprint.